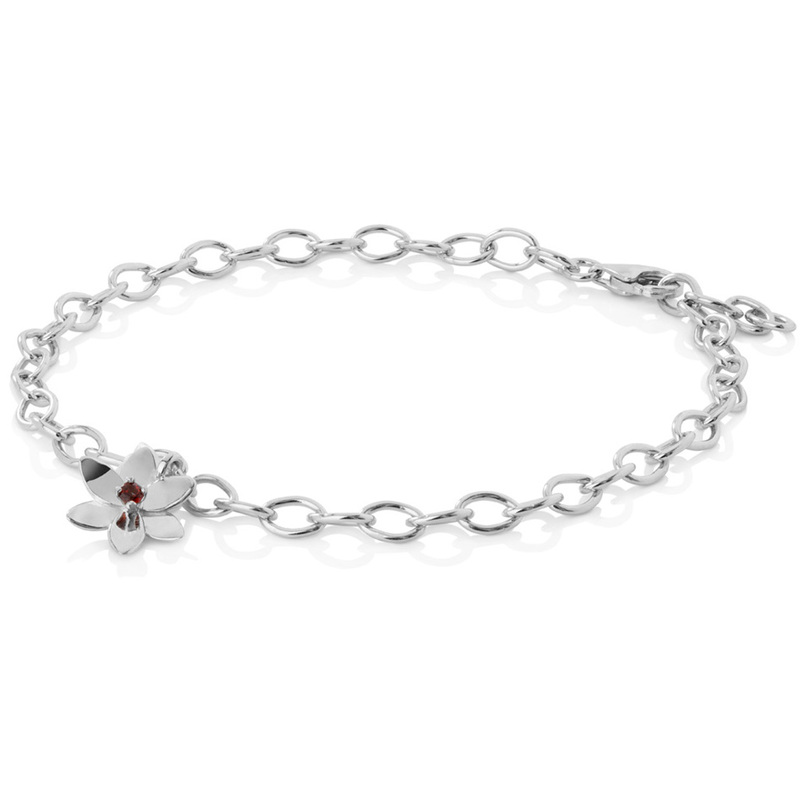 Bracelet with one beautiful six pedals flower from the Forget Me Not Collection. Light, luxurious and lovely. 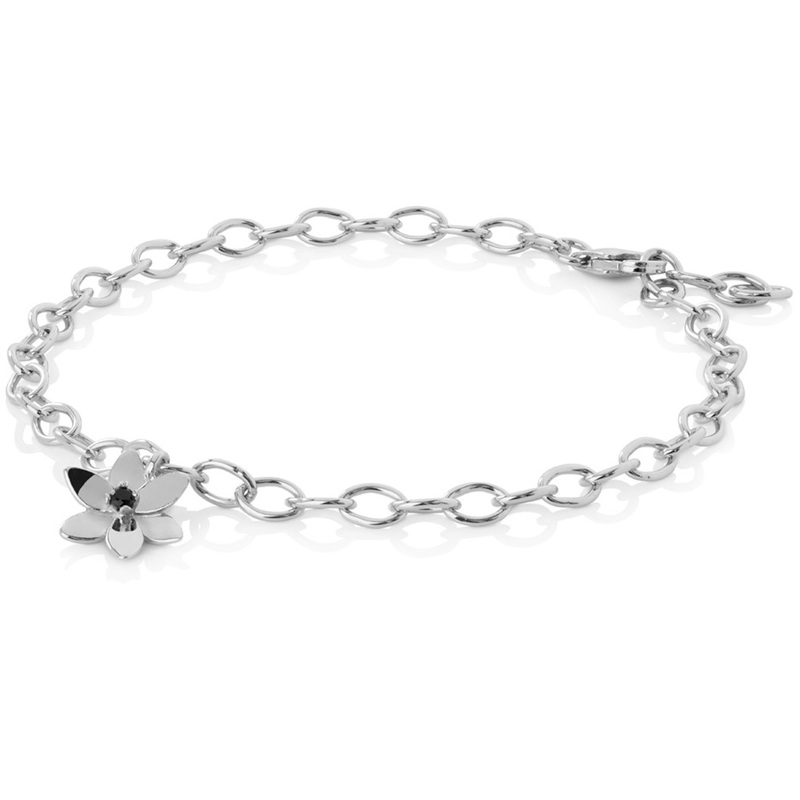 Those qualities define the qualities of our Forget Me Not special bracelet. The sterling silver petals, dangling pearl and single bling accent in black, red of white, let you enjoy summer throughout the year. 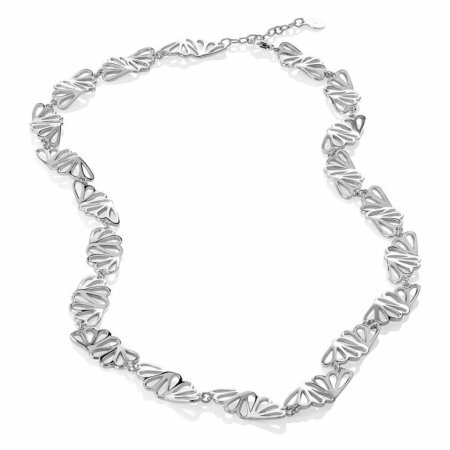 You can also wear multiple bracelets as is the current trend in arm wear. When worn together, several bracelets seem to dance in a ring as they dangle. Sometimes it is hard to choose. 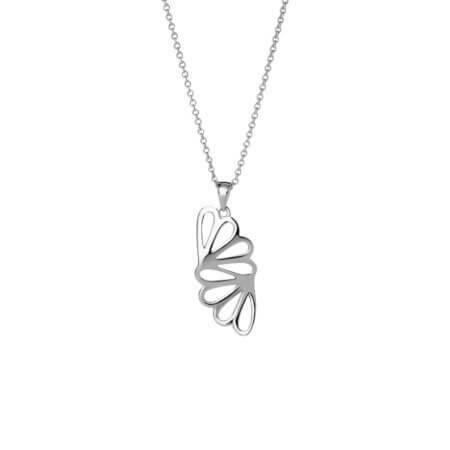 Our Forget Me Not Collection speaks to women of all ages, from young ladies to seniors, and is a lovely choice for many kinds of occasions. This design has an especially light touch and ethereal feel. Yet is appropriate for work, fun evenings or weekend parties. 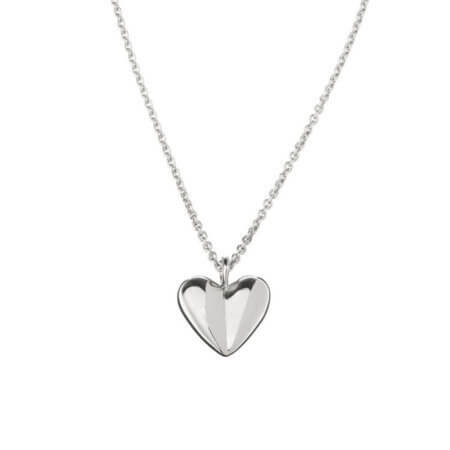 We have even seen more than a few brides choose this collection as their jewellery of choice on their special day. We like it paired with the six-petal matching earrings, ring and pendant. You can mix and match the many pieces of this collection to share your own preference. 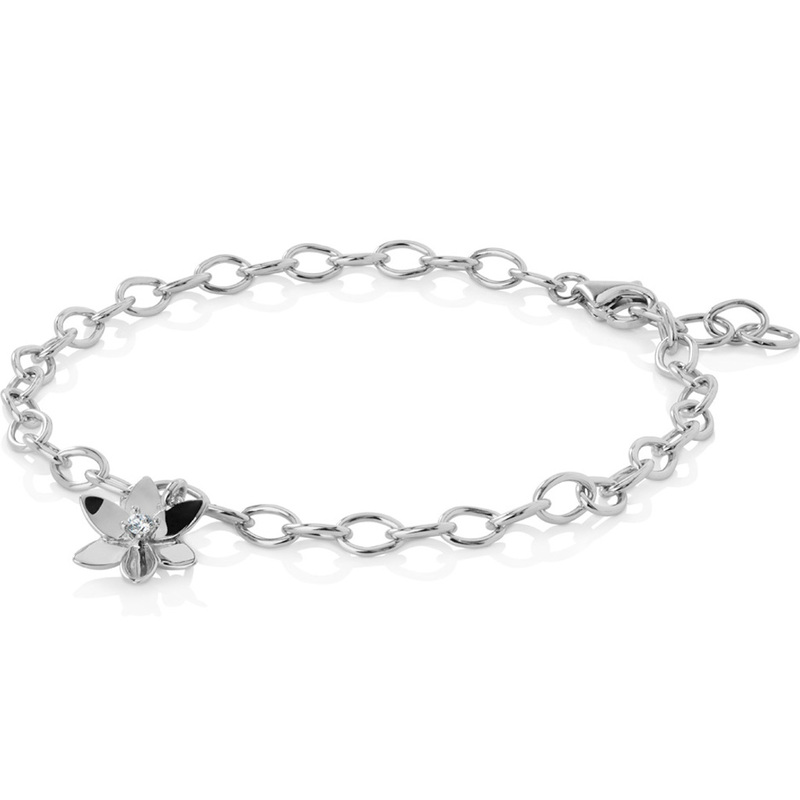 Bracelet with one beautiful six petals flower from the Forget Me Not Collection.